Will Shaksper, or “Shakespeare” was, for all that historical records can tell us, a grain-merchant and businessman from a rural outpost and center for sheep slaughtering about 100 miles from London. He was not a poet or a writer; he certainly possessed no books or manuscripts of is great work. So, how did he manage to write the greatest works of literature in English? Answer: He didn’t. The Official Story: One man, William Shakespeare, a businessman, part-time actor and occasional theater manager, from the rural English town of Stratford-upon-Avon, also wrote the greatest works of prose in the English language. The Lone Gunman: A book of poems published in 1609, before his death in 1616. But his plays were published only after his death as one body of work in 1623. The name appearing on that folio is “William Shakespeare,” but the name on the poems and other works is hyphenated – “William Shake-Speare.” His signature appears on only six surviving documents, but with significant variation in spelling. The Magic Bullet: Genius, pure and unadulterated. Sure, he was a nobody from nowhere, but that’s just how genius works. He was touched by a divine spark and even if his life does not relate to his work, genius makes it so and is inexplicable. Scratch 1: In the case of Shakespeare, the official story is, to quote Mark Twain, mostly plaster, hung over a few bones. Even the mainstream admits there is very little written about the man called Will Shakspeare, Shakspe or Shaksp?r (as he variously signed his name). This, to them, is not a problem to be solved, but a distraction to be ignored, in favor of admiring the works. But ignoring their ignoring, let’s ask; what do we know about him from historical records? There is no record of his birth; the official date is a best guess. He was a butcher’s son from a rural town. He did marry a local woman, Anne Hathaway. They had three children, one died. He was an actor and businessman. He never left England and only traveled the 100 miles from his town of Stratford to London. There are minor notices of his work as an actor and as a businessman. Beyond this rudimentary information, there is not much else on record; no schooling, no military service and no advanced education. There is nothing written about his life. And not because people weren’t writing then. So, what do we know and how do we know it? The most important source of information about the man called Will Shaksper is a document he signed, which he dictated to his attorney. It relates directly to him, his major possessions, interests and relationships, as it sums up his entire life. It is his last will and testament. In the will he enumerates his belongings, carefully. He was one of the wealthier men in his small town. He owned lands and properties, he had bought a share in two theaters. In addition to real estate, he had rings, a silver bowl and some furniture and he divided it all very neatly. He left his most important possessions – his books and manuscripts for his great works to…well, first, let’s admit that he might have been ungenerous in this regard. He left no books to his two daughters, or his granddaughter. Which seems awfully stingy. But, taking a deeper look – why would he have? They couldn’t read or write. His children and grandchild, like his parents, were illiterate. Which surprises a lot of people. He bequeathed his great manuscripts for the 37 (or more) plays, 150 sonnets and 2 epic poems to…no one. Because he did not have a single manuscript, not one play, not even a piece of paper with a sketch or outline for a poem. No library filled with research materials – not one book of any kind. Nowhere in his possession was anything relating to the works of Shakespeare. Which might surprise you. It did me. But that’s the reality. When he died, there was no state funeral. No one from the royal court came to pay their regards, no special mention was made in London in the papers or among fellow poets. And all of that is on the record. No, not even a napkin with some hastily-written song lyrics. Despite an exhaustive hunt for the manuscripts in his town, in London and everywhere in between, they have not been found to exist. Which leads the official storytellers to this bit of thinking: He must have been a genius and he must have learned it all in school. And never forgotten a lick. And went on to great individual studies and just thrown every book away as soon as he was done with it. Same with his writings. Read it, wrote it, burned it, buried it or lost it. Don’t need it! Genius! In 1909, Mark Twain summed up the problems with the life of the man in a bit of true satire called “Is Shakespeare Dead,” which I can only recommend as required reading. I’ll paraphrase. 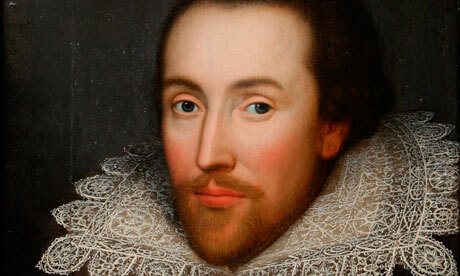 The man called Shakespeare was born near or around April 23, 1564 in a back-water rural town called Stratford-upon-Avon. It was not known for anything and was not a center of anything, least of all learning, as most of the inhabitants, on record, could not sign their names. It was what you’d expect of a rural town of poor farmers in 1500s England. Cows, pigs, sheep and chickens. Or, I take it back; It was well-known as a center for sheep slaughtering. He would have had the strong rural accent of Warwickshire, which would have marked him throughout his life, unless he worked very hard to correct it to a more sophisticated London accent. His father was a butcher and it is assumed that young Will slaughtered calves. Assumed but not known, because there is no record of it. There is no record of him going to school or working or doing anything, until he was 18, when he took out a marriage license to marry Anne Whately. On the next day, he took out a license to marry Anne Hathaway. (Maybe he had trouble with spelling). She was eight years older than he was, bore him 3 children, whom he did not teach to read or write. His first daughter arrived six months after the wedding, which just goes to show you that love and marriage really do go together like a horse and carriage. He spent most of the next two decades away from his family, in London. He appeared as an actor in some plays, then as a theater manager. He bought a property in Stratford, but remained in London. He once played in a cast that performed for the Queen. Which must have been a grand occasion. But apparently not something he felt compelled to write about, anywhere. From about 1597 to 1610, he is listed as an actor and theater manager. At the same time, his name, spelled in a variety of ways, but never as we spell it today, becomes associated with various plays now ascribed to “Shakespeare.” Some of these plays were performed under other names, as well – stolen – without protest from the actor. After this period in London, during which he apparently abandoned his family, he returned to Stratford, where he finished his life as a pecuniary businessman. His wife had to borrow forty-one shillings during his long absence; Will Shaksper refused to pay it back. There is a record of small legal suits; he sued and was sued by locals for reimbursement of small loans. That was his business: Money-lending, buying and selling properties and apparently, grain. And then he died, having accounted for and divided all of his belongings: His properties, rings, a sword, a gilded silver bowl and his “second best bed,” which he left to his wife. (Was she his second best wife? He was gone a long time). He never paid her debt, by the way. And in the one four-line poem he probably could have spoken, if not written, which is inscribed on his tomb, he warned grave-robbers that they would be cursed if they moved his bones. Which seems a little trite, coming from the man who wrote the works of Shakespeare. Scratch 4: The counterargument. This is not the man who wrote the plays, poems and sonnets. The author was someone far more interesting, whose biography tells us about the works of Shakespeare. Someone with the learning, wit, intellect, legal, military and courtly experience, travel history, grasp of languages living and dead; someone with court access, unparalleled education and an acute knowledge of suffering. The question arises, why didn’t this genius write the plays in his own name? Answer: Because he didn’t want to be dead. And so, we’re telling children, in essence – don’t worry about it. You’ll never get there. Don’t try too hard, because really, genius is inexplicable. Shakespeare? Just a Genius. Like Mozart or Beethoven. But stop right there. Mozart and Beethoven were extremely gifted, but they were schooled, nearly tortured with learning, from their near-infancy, made to repeat and repeat and repeat and repeat – and repeat their lessons for their demanding and punitive fathers. They were trotted around Europe to every court and competition; they were musicians in the public record from childhood. Yes, they were gifted; that’s where it starts. But that gift was developed, extraordinarily, by practice and study of all that had come before. Of all of the musical arts of their age, of every instrument, of every form, of every bit of composition that existed. It wasn’t bestowed upon them fully-formed. They learned. They sweat blood for their work. And all of that is held in the historical record. There are biographies, stories, notes and records of their interactions and relationships; of bills, paid and unpaid; of their success, failure, love and heartbreak. Because they actually lived and created the work that is attributed to them. Unlike Shakespeare. Who was a front for a man who could not show his face. "While the record indicates the date of Shakespeare's baptism, the actual date of his birth is unknown, although it is traditionally celebrated on April 23rd. Our knowledge of the custom of baptising children soon after birth makes April 23rd a likely date; however, it is also the day on which Shakespeare died in 1616, giving a pleasing, though possibly artificial, symmetry* to his life." "The entry is in Latin and reads, "Guiliamus filius Johannes Shakspere"; that is, "William son of John Shakspere." This document cannot be used as any form of evidence, considering it is merely a facsimile, supposedly reproduced from the original source hundreds of years after his death, and could have been edited/changed accidentally or intentionally. In a book to be published later this month, The Truth Will Out: Unmasking the Real Shakespeare, William D. Rubinstein - Professor of History at the University of Wales, Aberystwyth - (together with his co-author, Brenda James) argues that Sir Henry Neville was the true author of Shakespeare's plays. Here Prof. Rubinstein discusses the Shakespeare "authorship question" and explains why he believes that Sir Henry Neville was the true author of Shakespeare's plays. Did William Shakespeare, the Bard of Avon, write the works bearing his name on their title page? For 150 years or more, many highly intelligent people have argued that William Shakespeare did not write the plays and poems allegedly written by him. The "anti-Stratfordian" movement (as it is known) arose in the mid-nineteenth century, when it nearly always argued that Sir Francis Bacon (1561-1626), the great philosopher and legal figure, wrote Shakespeare's works. In the twentieth century, most anti-Stratfordians have claimed that Edward De Vere, the seventeenth Earl of Oxford (1550-1604) wrote Shakespeare's works, although there are many other alleged "candidates". Somewhat dormant for many decades, the so-called "Authorship Question" has reemerged during the last twenty years or so with renewed vigour, particularly, but not exclusively, in the United States. Many societies now exist in America, Britain, and Europe devoted to debating the issue, all with websites, conferences, and journals. 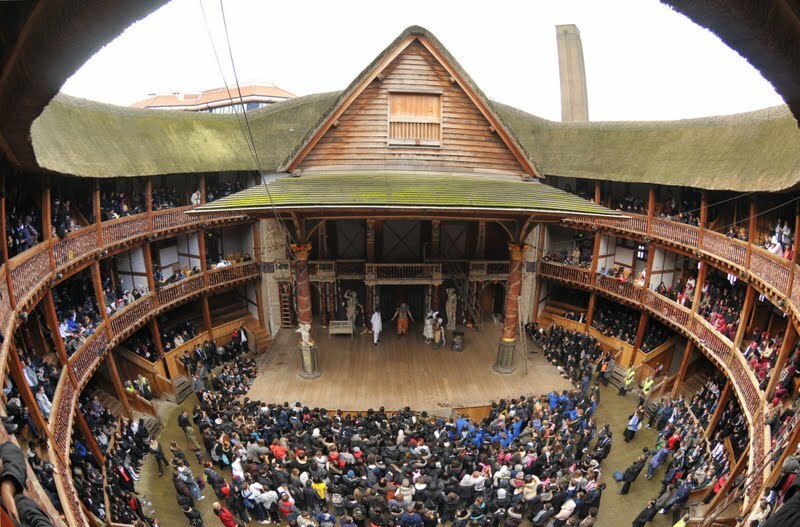 In recent years an annual conference on the Authorship Question has even been held at the Globe Theatre in London, remarkable as this may sound. The Globe's recent director, Mark Rylance, has many doubts as to whether William Shakespeare, the actor and theatre-sharer (i.e. part owner) who was born in Stratford-on-Avon in 1564 and died there in 1616, actually wrote the works attributed to him, as do many other prominent figures in the theatre world like Sir Derek Jacobi. This renewed interest in who actually wrote Shakespeare has occurred in the teeth of adamant and virtually unanimous opposition from nearly all established scholars of Shakespeare, especially those in university literature departments, to whom any discussion of an alternative Author is generally considered to be prima facie evidence of insanity. To the overwhelming majority of academic Shakespeare scholars, there is no "Authorship Question", and, as a topic of discussion, it is strictly taboo. Most academic conferences and journals concerned with Shakespeare and his works automatically ban any discussion of this subject submitted for consideration, and on Shaksper (www.shaksper.net), the leading Shakespeare academic website, any topic relating to Shakespeare may be discussed except the Authorship Question. To be sure, this is not as outrageous as it may seem. During the nineteenth century, many "Baconians" engaged in evident charlatanism by claiming that the plays contained a secret code revealing Shakespeare's name; more recently, the leading anti-Stratfordian candidate has been the Earl of Oxford, who unfortunately died in 1604, nine years before Shakespeare's last play (Henry VIII) was apparently written, necessitating the creation of a chronology of Oxford's writings as "Shakespeare" totally at variance with the orthodox dating of the plays universally accepted by scholars. Unquestionably, although well-intentioned and often highly intelligent searchers after the truth, many anti-Stratfordians have been egregious and counterproductive in their persistence as well as in their lack of compelling evidence. Nevertheless, there is a strong case to be made against the notion that Shakeaspeare of Stratford, the actor and theatre-sharer, wrote the works bearing is name. His lack of those qualities and qualifications assuredly necessary to have been the author of these works - who was a man of profound learning, knowledgeable about Court politics, multilingual, and almost certainly widely travelled on the Continent - has been recounted many times, as has been the complete inability to find a "paper trail" from Shakespeare's lifetime directly linking him with the plays he allegedly wrote. Although Shakespeare is arguably the most deeply-researched human being in history, virtually nothing whatever relating to his life, and nothing whatever relating to his purported authorship, was discovered in the entire twentieth century, despite the efforts of hundreds of researchers. At the present time, no one is sure whether Shakespeare was a conforming Protestant or a secret Catholic - there have been a spate of books written over the past twenty years or so alleging the latter - and there are two alternative, and contradictory views of how Shakespeare came from Stratford to London, the older poaching-deer-and–then-holding-horses-at-the-theatre-door view having been supplanted in some quarters by the view that he spent two years as a youth in two Catholic households in Lancashire before joining Lord Strange's travelling acting company. Indeed, the closer one looks at Shakespeare's life, the more doubts about his authorship there must be. To give one example of where legitimate doubts must exist, on the night of 28th December 1594 A Comedy of Errors was given its premier at Gray's Inn before an audience of lawyers, an occasion marked by a drunken saturnalia which became known at the time as "the night of errors". At precisely the same time, however, William Shakespeare and his entire acting company were known to be elsewhere, specifically at Greenwich Palace, performing before the Court. There cannot be the slightest doubt of this, since payment was specifically recorded to William Shakespeare (who is named) for the performance, dated 28th December 1594. Stratfordians have attempted to get round this contradiction either by asserting that the entry was misdated (for which, of course, there is no evidence) or that the performance took place during the day, and then Shakespeare and his company went on to Gray's Inn (presumably without rehearsing) to give the premier of Errors on the same night. But, as E. K. Chambers pointed out in 1907, all Court performances took place at night, starting at 10 p.m. and ending at 1 a.m. In other words, Shakespeare and his acting company were known to be elsewhere literally at the moment when one of his plays was being premiered. Such anomalies as this one, of which there are many, are consistently swept under the rug in orthodox biographies of Shakespeare. What has been needed, however, and hitherto lacking has been a credible alternative candidate whose life history meshes with the known chronology of Shakespeare's works and helps to illuminate why and when the works were written. This month, Brenda James and I will publish The Truth Will Out (published by Longman, London), in which we believe that we have identified the real author of Shakespeare's works, a man never before mentioned as a Authorship candidate. His name was Sir Henry Neville (c. 1562 -1615). Neville was a descendant of the brother of "Warwick the Kingmaker"; his mother was the niece and heiress of Sir Thomas Gresham, the great merchant and founder of Gresham College. Neville was educated at Merton College, Oxford and then (1578-81) went on a four-year tour of the Continent with Sir Henry Savile, the great Oxford scholar. Neville was known for his deep learning and was fluent in many languages. He served as an M.P. for most of his adult life, and lived chiefly in a large mansion, Billingbear Park, about six miles from Windsor. How he met Shakespeare the actor and used him as his front man in the theatre may never be completely known, but Mary Arden, Shakespeare's mother, was a distant relative of Lord Bergavenny, Neville's grandfather. Neville served as Ambassador to France in 1599-1600, and, on his return to England, became involved in the Essex conspiracy, with the famous performance of Richard II by the rebels taking place a few days after he agreed to join them. Following the collapse of the rebellion, Neville was tried and sentenced to death, which was commuted to life imprisonment in the Tower and a huge fine. Much of the evidence against him was given by his old friend Lord Southampton, also convicted for his part in the rebellion, who spent two years beside him in the Tower. There - for the rich, the Tower was not unlike a good hotel - Neville wrote Hamlet and many of the Sonnets, some of which are certainly addressed to Southampton. To condense a long story, Neville published Shake-speares Sonnets three days before the official launch of the second London Virginia Company. Its celebrated, mysterious Dedication was certainly written by Neville himself, not by its publisher Thomas Thorpe, and is certainly dedicated to Southampton, his fellow director of the Company and close friend, as "well-wishing adventurers" in the new Company. In our book, we present a comprehensive life of Sir Henry Neville, showing how his biography meshes at every point with the accepted chronology of Shakespeare's works. William D. Rubinstein is professor of modern history at the University of Wales - Aberystwyth. He is the co-author (with Brenda James) of The Truth Will Out: Unmasking the Real Shakespeare (Longman, 2005). William Shakespeare and Sir Henry Neville: A conspiracy or an agreement? - William D. Rubinstein presents new evidence which he argues confirms his claim that Sir Henry Neville was the true author of Shakespeare's plays. In their controversial 2005 book, The Truth Will Out: Unmasking the Real Shakespeare, William D. Rubinstein, and his co-author Brenda James, argued that Sir Henry Neville was the true author of William Shakespeare's plays. Now William D. Rubinstein - professor of modern history at the University of Wales-Aberystwyth and also the author of the Social Affairs Unit's new book, Men of Property: The Very Wealthy in Britain since the Industrial Revolution - presents new evidence which he argues confirms his and Brenda James's claims about the authorship of Shakespeare's plays. Those who believe that the evidence strongly supports the view that William Shakespeare was not the actual author of the works attributed to him are often accused of a "conspiracy theory". This conspiracy must have entailed the cooperation of several men, and perhaps a large group, in advancing the fictitious view of Shakespeare as the real author. Such a large-scale conspiracy is obviously very difficult to credit, and the larger the number of people involved, the less likely it is to remain a secret. Moreover, the term "conspiracy theory" is not a neutral one. It connotes secret meetings after midnight for some malign and evil purpose like assassinating a President; it also suggests some sinister and mysterious association with allegedly far-reaching powers beloved of crackpots and extremists". Alternative theories of Shakespeare as author are - and certainly if they are to be at all plausible - not really like that: what is suggested is not a monstrous conspiracy of some kind, but a deliberate agreement among what in all likelihood was a small group of people to disguise the authorship of Shakespeare's plays. Their motives, too, might be plausible and understandable rather than mysterious. What has been lacking, needless to say, is a clear account of this agreement, with plausible supporting evidence. Anti-Stratfordians, especially Oxfordians, have suggested a variety of possible reasons for this agreement, but none has been very plausible and all are lacking in evidence. Most remarkably, in my view direct evidence for such an agreement appears to exist. Like so much of the writing of the period, the rest of this verse-letter is highly opaque and cryptic. The complete text of Beaumont's letter is also not particularly easy to find: the most accessible source remains Sir E. K. Chambers' William Shakespeare, Volume II (Oxford, 1930), which was also the first work to publish this letter in full. There is so much of great interest and significance in this passage that one hardly knows where to start. Perhaps the first question is why it is not much more widely known than it is. References to Shakespeare as an author in his lifetime, let alone by one famous writer to another, may be written out on the back of a postage stamp; this verse-letter in fact appears to be unique. 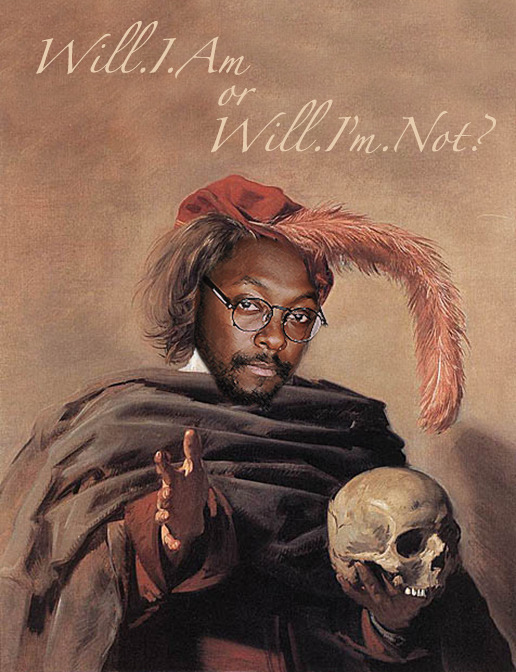 Yet is was not mentioned at all in a standard biography of Shakespeare like Park Honan's Shakespeare: A Life (1999) or even in Stanley Wells's recent Shakespeare & Co. (2006), although Wells's book is specifically concerned with Beaumont, Jonson, Fletcher and other contemporary playwrights. One reason, perhaps, is that Shakespeare is here credited with having written "by the dimme light of nature" - in other words, that he was virtually self-taught and self-educated, and that what education he did have was inadequate to explain his genius. Such a view - made by one of Shakespeare's alleged author friends to another - directly contradicts Proposition Number One of the orthodox view of Shakespeare's life, that the education he received at Stratford Grammar School, a local, otherwise unnotable elementary school in a provincial market town of 1200 people, and which ceased at the age of thirteen, was equal to anything on offer in England or even in Europe, and is fully adequate to account for his remarkable erudition. Francis Beaumont, however, begged to disagree: he not only believed that Shakespeare's education was so deficient that he was, for all practical purposes, self-taught, but that this fact was so remarkable that posterity would surely hear about it. More curious, however, are the lines predicting that "our heirs" will hear "preachers" explaining to their "auditors" about Shakespeare's meagre education. These "preachers" can hardly be Anglican (or any other) clergymen: clergymen simply did not deliver sermons or homilies about the social and educational backgrounds of secular playwrights. Indeed, it is difficult to think of any topic less likely to have been the subject of a preacher's sermon at the time than Shakespeare's meagre education. These "preachers" must themselves be of a secular kind, perhaps writers like Beaumont and Jonson. More basically, however, why should "auditors" hear anything whatever about Shakespeare's educational deficiencies? Why that? Why Shakespeare? That our "heires" shall hear this sounds like a remarkably confident prediction. And would William Shakespeare approve? If this verse-letter dates from 1615 he was, after all, still alive. In 1615 Shakespeare was only fifty-one; for all Beaumont knew, he might have lived another thirty years. (As it happened, he died the following April, a month after Beaumont himself died at the age of only thirty-two.) Yet he seems to be discussed as if he were already dead. Furthermore, there was, of course, no collected edition of Shakespeare's works in 1615, only stray, ephemeral pamphlets and quartos of individual plays. Would these be remembered even twenty years later? Lord John Hay…had tawny liveries (sic) on an embassy to France in 1616. Neville was Ambassador to France in 1599-1601, and might well have been laid out in the uniform he had worn as Ambassador, the highest official position he ever held. If this is indeed a description of Neville's funeral, several inferences can be drawn. Both Beaumont and Jonson were evidently present at his funeral. This is not surprising, since both were friends and admirers of Neville. Jonson wrote an ode in his honour; Beaumont and Fletcher's A King and No King (1611) was apparently inspired in part by his political career and Neville apparently owned the manuscript of the play. More importantly, of course, it is reasonable to infer that the direct linkage made here between Shakespeare and Neville, otherwise incomprehensible, was deliberate, well-understood by both men, and intended by Beaumont to remind Jonson that there was already a far-reaching agreement to depict the author of Shakespeare's works as a self-educated genius who wrote by the "dim light of nature", an agreement certainly made with Neville's knowledge and approval, and probably at his direct request. One can only speculate as to why - although the apparent reference to Neville's "text" that "god made all that is" is perhaps indicative of Neville's wider philosophy at the time. Francis Beaumont died in 1616, but Ben Jonson lived to carry out this apparent agreement. In 1622-23 he probably acted as the editor of the Shakespeare First Folio, contributing the celebrated introductory poem about the "sweet swan of Avon" who had "small Latin and less Greek". At the time when Jonson was engaged in his First Folio work, Jonson was resident at, and almost certainly employed by, Gresham College in London, the capital's only quasi-tertiary institution. Jonson's biographers have been mystified as to what he was doing there and the linkage between Gresham College and the First Folio has been unnoticed in any of the innumerable accounts of Shakespeare. Gresham College was founded in the 1590s under the will of Sir Thomas Gresham, the famous London merchant. Gresham was the uncle of Neville's mother. Neville's father was the Chief Mourner at his funeral, and two acts of Parliament preserved the interests of the Neville family in Gresham's estate. Neville and his children were Gresham's closest living relatives. Our view is that Ben Jonson was procured a position at Gresham College by Neville's son and eldest daughter, in large measure to carry out Beaumont's prediction, evidently well-understood by Jonson, that their "heires" would "heare" how Shakespeare wrote "by the dimme light of Nature", a task he did so well that it has taken four centuries to solve the great puzzle. This agreement - not a "conspiracy" - was made between a small group of mortal men. William D. Rubinstein - professor of modern history at the University of Wales-Aberystwyth and the co-author of The Truth Will Out: Unmasking the Real Shakespeare and also the author of the Social Affairs Unit's new book, Men of Property: The Very Wealthy in Britain since the Industrial Revolution - has previously argued on the Social Affairs Unit Web Review that Sir Henry Neville is the true author of William Shakespeare's plays: Is Sir Henry Neville the true author of Shakespeare's plays? and William Shakespeare and Sir Henry Neville: A conspiracy or an agreement?. Prof. Rubinstein now presents the case that the Sonnets emphatically point to Sir Henry Neville being the author of Shakespeare's work. Close to the heart of any discussion of the Authorship Question is Shake-speares Sonnets, the volume of 154 Sonnets, plus a separate attached poem, A Lover's Complaint, which was published in May 1609. Among the very greatest poems in the English language, many of them appear to be autobiographical. They seem to refer to specific and actual individuals, incidents, and situations, but they are also - one assumes deliberately - very vague, their subject-matter imprecise, ambiguous, and just beyond our knowing. Orthodox scholars and biographers assume as a matter of course that they were actually written by William Shakespeare, the actor, theatre-sharer, and presumed playwright who was born in Stratford in 1564 and died there in 1616. 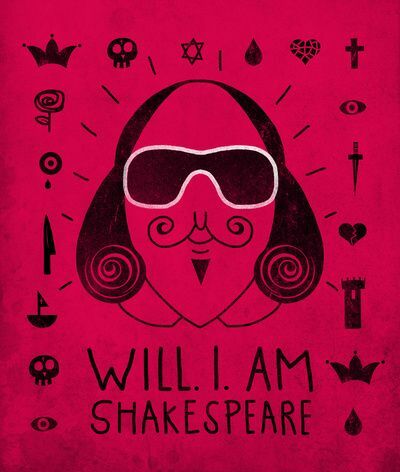 Anti-Stratfordians - those who deny that Shakespeare wrote the works attributed to him - naturally deny this, and often link the apparently actual and specific incidents in the Sonnets to the life of their particular Authorship "candidate" - without, it must be said, hitherto making a very convincing case. In my view, however, meshing the life of Sir Henry Neville (c. 1562-1615) with the apparently autobiographical reportage in the Sonnets works exceedingly well, and goes very far towards explaining them and resolving many of the famous mysteries which have always surrounded them. There are no references, even cryptic ones, to his actor-friends, even to those, like Henry Condell and John Heminge, whom Shakespeare later remembered in his will. There are no Sonnets about Stratford-upon-Avon, or for that matter anything about London, or the contrast between the two places in his life. More curiously, perhaps, there are no moving Sonnets about the death of Shakespeare's son in 1595 or the death of his father in 1601, events which are said by many orthodox biographers to have influenced his work. 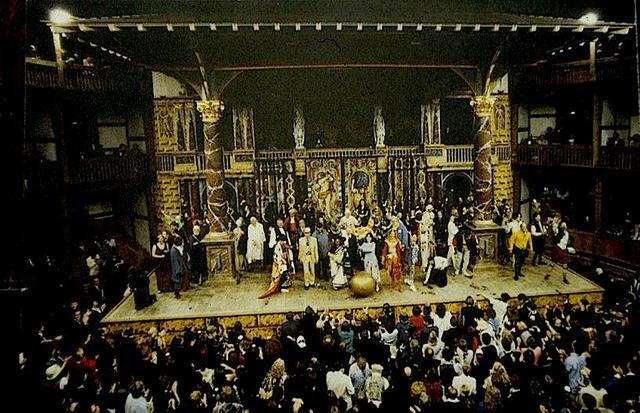 There are no Sonnets marking such events as the opening of the Globe Theatre or the acquisition, in 1603, of Royal patronage by Shakespeare's acting company. Of course, there are any number of reasons why Shakespeare might have chosen not to have written on these topics, but their complete absence is surely extremely puzzling. peace proclaims olives of endless age…this most balmy time. None of this relates in any way to what is known of Shakespeare's life. These incongruities, in my opinion, are at the heart of the case which anti-Stratfordians make against the orthodox account of his life and career: Shakespeare's life simply cannot be successfully meshed with the evolutionary trajectory of his works, or with what can reasonably be inferred about his life from them. For these reasons, many orthodox Shakespearean scholars reject the notion that the Sonnets are autobiographical; instead, they are claimed to be simply "poetic exercises", similar to other Sonnet sequences of the time. While some of the Sonnets may indeed be non-autobiographical, this fails to address the fact that many Sonnets seem to be autobiographical and to refer to actual persons and incidents. Moreover, as "poetic exercises" they lack any coherent narrative quality, and simply fail to tell a coherent story. Instead, they appear to be a jumble of rather miscellaneous compositions whose meaning is quite unclear. why would a master dramatist like Shakespeare, creating a dramatic fiction, produce a confused, weakly articulated and sometimes contradictory "sonnet story"? Orthodox scholars can give no answer to this question. Posit Sir Henry Neville as the real author of the Sonnets, and we can, in my opinion, go very far towards providing a coherent account of the autobiographical roots of these poems. Neville, who was educated at Merton College, Oxford and was an M.P. throughout his whole adult life, was a major landowner and descended from the celebrated Nevilles. He served as Ambassador to France in 1599-1601 when he became closely involved in the Essex rebellion. Neville was promised the position of Secretary of State if the rebellion succeeded. When it failed, his role was made public by Essex at his trial and confirmed by Lord Southampton, one of Essex's leading deputies. As a result, Neville was sent to the Tower indefinitely until he paid off an enormous fine of £5000, more than half of his fortune. He was there with Southampton, the only other Essex prisoner. Both were released when James I came to the throne, and became close political allies. Neville spent much of the rest of his life attempting to recoup the fortune he had lost. He believed that a turning point had come in 1609, when, almost simultaneously, his eldest son (on 2nd May) married the daughter of a rich City merchant who was the niece of the head of the London Virginia Company, while (on 23rd May) King James granted the second London Virginia Company its Charter. Neville (and Southampton) were directors of the Company, and he was pinning his financial hopes upon its success. 1. The Sonnets were published on 20th May 1609, explicitly as a direct response to the launch of the London Virginia Company. This is the meaning of the phrase "wisheth the well-wishing adventurer" in the celebrated Dedication, an "adventurer" being the phrase used in the Company's Charter to describe investors in it. The book also appeared when Neville was in an exuberant mood after the fortunate marriage of his son shortly before. 2. Although the Sonnet's Dedication is signed by "T.T. ", as if by Thomas Thorpe, the book's publisher, the Dedication was actually written by Neville himself. Apart from the anomaly of Thorpe, the publisher, writing the book's Dedication rather than its alleged author William Shakespeare - Shakespeare still being alive and active, of course - there exist two other books published by Thorpe for which he wrote their Dedications (both by dead authors) which look absolutely nothing like the Sonnets Dedication. 3. "Mr. W.H. ", the Sonnets' "onlie begetter", is plainly Southampton. Many of the Sonnets were plainly written by Neville to or about him. The addressee of these Sonnets is thus not the same man as the addressee of the other "young man" Sonnets, Southampton, but were written and included in honour of the son's fortunate marriage. 5. Many of the other Sonnets were obviously written by Neville when he was imprisoned in the Tower, often to cheer up Southampton (as well as himself). All of the Sonnets bemoaning Neville's outcast state, his brand, and so on, were plainly written in the Tower in 1601-03. Sonnet 107, celebrating the death of the Queen in 1603 and the simultaneous release from the Tower of Neville and Southampton by James I as soon as he became King, was obviously written in 1603-4, proclaiming his great hopes for the new reign. 6. It is possible that, both imprisoned together for two years, Neville had some sort of homosexual relationship with Southampton, although Neville was emphatically heterosexual, fathering eleven children. (William Shakespeare was married at eighteen after a "shotgun wedding" and fathered three children by the time he was twenty-one. There is no evidence that he was a homosexual.) Neville does appear to have genuinely admired Southampton and was deeply attached to him. 7. I do not know who the "dark lady" was, or if there actually was one, but her identity might well be a mundane one. Neville's wife, Anne Killegrew Neville, was of Cornish descent and dark-haired. When Neville was arrested, her father, Sir Henry Killegrew, was so enraged he would not permit her in his house. We do not know the upshot of this, but it is possible that a rift emerged between Neville and his wife at this time, depicted in these Sonnets. If this is not the identity of the "dark lady", then the mystery is never likely to be solved. 8. The Sonnets (135, 136, etc.) with the lines "my name is Will" and the like seem categorically different from most of the others. They are facetious, grossly vulgar, and derogatory. More importantly, they seem undisguisedly personal, whereas the intent of all or almost all of the other Sonnets is to create ambiguity about the identity of their author. My view is that Neville was deliberately making fun of Shakespeare, probably with the connivance of Southampton. The dedications of the two long poems of the 1590s to Southampton as if by Shakespeare were also written by Neville to Southampton tongue-in-cheek, as it were. They appear to have rather despised Shakespeare as a lecherous upstart, although Neville must have had a continuing working relationship with him as his producer-director in the theatre. 9. Neville almost gives the game away in Sonnet 121, with its rhyming use of "vile", "vile esteemed", "level", and "bevel", obvious puns on his name. In contrast to Shakespeare, Neville's life and circumstances mesh in extraordinarily well with the autobiographical component of the Sonnets. This lack of congruence is also the case with the other Authorship "candidates". For example, Oxfordians frequently claim that the Sonnets were written by DeVere to Southampton. But there is no evidence of any kind that DeVere and Southampton ever met. The only time they were definitely known to have been in the same room at the same time was in 1601, when Oxford was the foreman of the jury of Peers in the House of Lords that condemned Southampton to death for treason in the Essex rebellion (he was then reprieved). They had no more of a demonstrable association than Shakespeare had with Southampton. This theory has more credibility than any other I have seen so far. Shakespeare’s history plays are more than dramatized history lessons. They explore the contemporary dangers inherent in succession crises at a time when ElizabethI had ruled that discussion of who would inherit the throne was treason. The plays were political and therefore dangerous. Yet William Shakspere from Stratford-upon-Avon was never arrested for his writing nor spent time in prison, unlike his fellow playwrights, Marlowe, Kyd and Jonson. In 1601 Sir Henry Neville was arrested and imprisoned and from that time “Shakespeare” stopped writing history plays for over ten years. He completed Henry VIII in 1612. The identification of Henry Neville as an authorship candidate by James and Rubinstein (2005) has opened the door to reinterpret the plays. Neville had early access to a major source for the history plays, the Holinshed Chronicles (1587), because his father-in-law was one of the editors. Neville was ambassador to France and spoke French (see Henry V); knew the descendants of Jack Cade (Henry VI part 2); knew Crosby Place (Richard III) and had lived in Blackfriars (Henry VIII). With reference to the Holinshed Chronicles in particular, numerous anomalies in the plays are identified that indicate Shakespeare’s consistent bias in portraying the Nevilles in a positive light, thus revealing this hidden author’s political viewpoint and true identity. Books from Neville’s library containing annotations suggesting they were source material for the plays reveal new evidence of his authorship. The book is illustrated with examples of these and other manuscripts written by Neville. [*]The works of Shakespeare contain evidence of wide reading, travel, ability in foreign languages. Shakspere never travelled outside England and left no books in his will. [*]Despite being our greatest writer his daughter Judith was illiterate and unable to sign her name except by making a mark in 1611. Susanna (Hall) left just one signature dated 1647: 31 years after her father’s death. Neither daughter, despite living for many years after their father’s death, left any record of him. His parents were illiterate. None of his ancestors or descendants were writers or involved in the theatre, though his brother Edmund died “a player” (actor) in 1607. [*]No letters written by this great writer have ever been found. Only one letter written to him has been discovered, it was never sent but found in the posthumous papers of the person who wrote it. The letter, written in 1598 by Robert Quiney, was a request for a loan (Michell, 2000, 48). [*]Shakespeare shows intimate knowledge of the English and French royal courts, yet no courtier ever wrote about meeting him. [*]When he died, nothing whatsoever happened. When Francis Beaumont died he was buried in Westminster Abbey and Ben Jonson had a state funeral. Shakespeare’s first monument in Stratford (recorded in engravings of 1653 and 1709) shows a very different man with his hands on what is either a sack of grain or a cushion, with no quill or paper (see Michell, 2000, 89, 91). The Authorship Question however fell into disrepute because the candidates suggested (Bacon, Oxford and others), whilst intriguing, were just not credible. Orthodox scholars dismiss the question as ridiculous, suggesting that it only emerged 200 years after Shakespeare’s death and that no-one questioned his authorship in his lifetime. This is not true: in 1597 and 1598 Joseph Hall published Satires (Virgidemarium) in which he cryptically referred to the author of Shakespeare’s works by the name “Labeo” which some interpret as pointing to Bacon. In 1598 John Marston also called Shakespeare “Labeo” (in both Metamorphosis of Pygmalion’s Image and Certain Satires book 1). Thus from the 16th Century the identity of Shakespeare has been questioned. [*]The person’s life span must be contemporary with that of William Shakespeare and the works written under that name. The facts of this person’s life and career must fit the generally accepted order and chronology of the plays and have considerable explanatory power to illuminate the motivation and meaning of the plays. There must be evidence of a friendship between this person and Henry Wriothesley, the Earl of Southampton. [*]There must be evidence in a manuscript of a similarity between the person’s hand writing and the Hand D section of Sir Thomas More. [*]There must be some writing, such as letters or other documents, that show evidence of shared vocabulary between the writer and Shakespeare. [*]There must be evidence the person could read/write French, Spanish, Italian, Latin and Greek (to enable him to read known Shakespeare sources that were not translated into English). [*]The person must have travelled and visited some of the places such as Venice, Vienna and Scotland which appear in the plays. [*]The real surname of this candidate and members of their ancestral family should appear somewhere in the plays. [*]The person must be a known supporter of the Earl of Essex and have connections with the 3rd Earl of Pembroke, William Herbert (to whom the First Folio was dedicated). [*]The person must have had access to the Strachey letter, (a source for The Tempest). 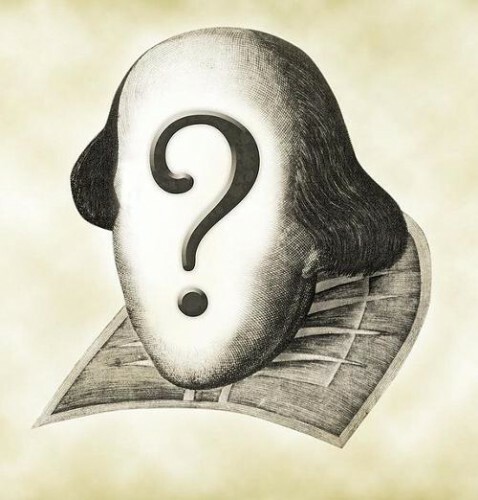 [*]There must be at least one contemporary document that connects this person with the name William Shakespeare and lists or mentions a poem or plays by the bard. The only candidate who passes all these tests is Henry Neville. There is now a new book available that examines the Authorship Question and each candidate, including Henry Neville by the historian Professor William Rubinstein: Who Wrote Shakespeare’s Plays? Another new book forensically demonstrates that the actual evidence shows William Shakspere from Stratford was not the writer of the works attributed to him. The Man who was Never Shakespeare is by A. J. Pointon (2011). When Brenda James discovered Henry Neville she was not looking for him: indeed, unlike all the other candidates, Neville was not discovered because a researcher had identified a plausible candidate and then sought evidence to fit. James was examining the dedication to the 1609 edition of the Sonnets. Having hypothesised that it was in code she set out, through a logical process, to decode it and thus discovered the unexpected name Henry Neville. James had never heard of him but as she researched his life she found more and more evidence pointing to him having been the hidden poet behind the front man/pseudonym ‘William Shakespeare’. Why did he want to keep his identity secret? James discovered an interlocking series of reasons that made this secrecy essential. [*]It was not socially acceptable for a man of his position to be identified as a playwright. [*]The plays he was writing were political and at the time such writing could be punished by imprisonment and torture. [*]Neville’s father and father-in-law were involved in secret diplomatic government business. Indeed Neville himself became ambassador to France in 1599. [*]Crucially Neville was illegitimate and had this been discovered he could have lost one of the largest fortunes of the day: the Gresham inheritance. This last point explains the references to bastards in the plays, one of whom (in King John) is called Faulconbridge: a Neville family name. [*]Italy: Neville visited Italy in 1581, including Padua and Venice, gaining special knowledge of that country which we find in Shakespeare’s plays. [*]France: Neville was Ambassador to France 1599-1600, at a time when Shakespeare wrote Henry V, which includes scenes in France. [*]Holinshed: Neville’s father-in-law, Henry Killigrew, was one of the editors of the 1587 edition of Holinshed, used as a major source by Shakespeare. [*]Nevilles in the history plays: members of the family are disguised by being identified only by their titles (the Earls of Salisbury, Warwick, Westmoreland etc. ), though the name ‘Nevil’ is mentioned 7 times in Henry VI part 2. [*]Imprisonment: Neville was caught up in the Essex Rebellion and imprisoned in the Tower of London 1601-3. From this time a tragic darkness enters Shakespeare’s plays. [*]Henry Wriothesley: Neville had known Henry Wriothesley, the Earl of Southampton, since he was a boy and they were imprisoned together in the Tower. They were close friends. Southampton dedicated a document about Richard III to Neville (British Library, Additional MS 29307). Shakespeare dedicated poems to him. In 1613 John Chamberlain wrote that Wriothesley was Neville’s “great patron” (McClure, 1939, Vol 1, 401). [*]Thomas Morley, composer, printed the song from As You like It, “It was a Lover and His Lass” in 1600. He married a maid of Neville’s step mother and lived at Billingbear, Neville’s house in Berkshire. [*]James I was in Oxford when Neville was awarded his MA in 1605. On that occasion Matthew Gwynne presented his Tres Sibyllae, a Latin poem which referred to the prophecy that Banquo’s descendants would inherit an endless empire (a possible source for Macbeth, 1606). Neville had visited Glamis castle in 1583. James I visited Neville in 1608 when preoccupied with his own writing. [*]The Strachey Letter was a source for The Tempest. A private manuscript, it was circulated within the Virginia Company, of which Neville was a member. Neville’s son married the daughter of the chief executive of the Virginia Company a few weeks before the publication of the Sonnets. In the dedication to the Sonnets the words “adventurers” and “setting forth” can be seen to refer to the launch of the new company. [*]John Fletcher dedicated a play (A King and No King) to Neville before he co-wrote the last plays with Shakespeare. [*]1614: Neville was supported in Parliament by Sir William Herbert who was the cousin of Neville’s chief backer in the Privy Council, the 3rd Earl of Pembroke, William Herbert, to whom the First Folio was dedicated in 1623. [*]Ben Jonson wrote a poem addressed to Neville and The Staple of News, a play about the First Folio, which hints that Neville was the author (James, 2008, 268). At the time the First Folio was printed Jonson was living at Gresham College, which was founded by Neville’s great uncle (James, 2005, 210). Two Acts of Parliament protected the interests of the Neville family in Gresham College as they were Gresham’s close relatives, and this may have enabled them to have Jonson appointed there. [*]In 1628 Neville’s son-in-law Thomas Vicars republished a book written in Greek adding a reference to a “well-known poet who takes his name from shaking and spear”. He names other writers by their actual names. This suggests he knew that the name Shakespeare was a pseudonym. Banned by Elizabeth I, the political tract, Leicester’s Commonwealth, was an attack on Robert Dudley, Earl of Leicester, the Queen’s favourite. His reputation has never recovered. Sexed up with scandal and murder, this dangerous document eluded all attempts to destroy it and was even read by courtiers, including the young Henry Neville, who made his own secret copy. In 2005 Brenda James revealed that Neville was the hidden writer behind the pseudonym ‘William Shakespeare’. Amongst the evidence she discovered in the Worsley collection of Neville papers were two hand written copies of Leicester’s Commonwealth. Dr. John Casson now reveals how these are connected with three other ‘Shakespeare’ manuscripts: the annotated Halle’s Chronicle, the Hand D section of Sir Thomas More and the Northumberland Manuscript. This book provides compelling evidence that Leicester’s Commonwealth was a source for ‘Shakespeare’. It spurred Neville to write plays and poems in which political commentary was concealed in popular entertainment. Dr. Casson has also discovered two books in Oxford University Libraries that were annotated by Neville, one of which is a political document that was a source for the play Edward III. He also unveils a previously unrecognised early play by the bard, the hilarious historical comedy with hidden political aspects, Look About You. Much Ado About Noting adds to the increasing volume of evidence that Henry Neville was indeed the author of the Shakespeare canon. The Northumberland Manuscript (NHMS) is a faded, charred, fragile folio of papers housed at Alnwick Castle. On the front cover someone has repeatedly written the name “William Shakespeare”. The NHMS was owned by Henry Neville (Burgoyne, 1904, xvi). The name ‘Nevill’ is visible, with the family motto, “Ne vile velis”, at the top left of the front page. I have written a psychological study of Neville showing how he fits what we would expect for the author of Shakespeare’s works, see Reunions in Ephesus. Neville’s grandson was a writer. In 1668 he published The Isle of Pines under the pseudonym Henry Cornelius Van Sloetten. This satirical work has similarities to The Tempest. None of William Shakspeare’s Stratford descendants were writers. John also explores Thomas of Woodstock and A Yorkshire Tragedy, revealing the connections between them and Henry Neville’s life and letters. He reclaims the lost play Cardenio in the surviving text of Double Falshood, showing that this is a genuine work by Shakespeare-Neville and John Fletcher. This is a thrilling read as revelation follows revelation: after 400 years we can now see Shakespeare-Neville’s artistic development before his early known works. John Casson, PhD, is an independent researcher, psychotherapist and playwright. Since writing my first books I have discovered a few minor errors which I wish to correct. 1) In Much Ado About Noting page 181, I dated the book in Merton College on Celestial Geometry to 1588. The correct date is 1538. The other book mentioned on Roman History is dated 1548. Both long before Neville started writing. 2) On page 73 I stated it was Lubbock and Keen who suggested the Hall volume may have been in the library of Sir Robert Worsley. It was in fact James & Rubinstein in their 2005 The Truth Will Out. 3) Neville arrived back from his tour of Europe in 1582 not 1583. 4) Neville did not go to Cadiz with Essex: it was his cousin, also called Henry Neville, who was with Essex. Neville was knighted by the Queen in 1598 in preparation for being ambassador to France. 5) In Enter Pursued by a Bear I suggested Neville was the sole writer of Locrine. I now think he may have co-written it with George Peele. This fits with him co-writing The Troublesome Raigne of John and Titus Andronicus with Peele (See Bradbeer & Casson 2015: the new book listed above). 6) On page of the Bradbeer and Casson book, Sir Henry Neville Alias William Shakespeare, we made the mistake of referring to Keen and Lubbock’s book The Annotator as by Alan and Lubbock. Keen’s first name was Alan. ''Thanks for the comments. I don't want to string this out, but in The Truth Will Out we match up Sir Henry Neville's life with the accepted chronology and evolution of Shakespeare's works, and show how they always mesh up. Of course Hamlet might have been the product of Shakeaspeare's hypoglycemia or alcoholism, but wouldn't it be better to have a rational explanation, based in the author's actual life experiences? We argue that Neville wrote Hamlet in the Tower (which he could, since he was a privileged prisoner) just after the collapse of the Essex rebellion in 1601, and that it is "about" the Essex rebellion, for which Neville was jailed indefinitely, next to his close friend Southampton, and had to pay a huge fine. There are innumerable facts about Shakespeare's works which simply cannot be readily explained by the known facts of his life. For instance, The Tempest of 1611 is based in part on the Strachey Letter, sent by the secretary of the London Virginia Company's expedition to Virginia which was shipwrecked in Bermuda, back to London in 1610. It was a confidential business report on the Bermuda shipwreck which was apparently circulated only to the Company's directors, and was not published until 1625. Excellent work as usual moderators. I was looking to post on this topic a (long) while back but could not muster the appropriate degree of formality in my writing. You have saved me a lengthy introduction. One of "Shakespeare's" primary functions was to propagandize the ball-earth model. Observe degree, priority and place. In 1900 The Publisher's Circular published the interesting tid-bit that the King James Bible, which took 6 years to complete, ending in 1610 would have made Shakespeare 46 years-old at the time. If you go to Psalm 46 and read the 46th word from the beginning and the 46th word from the end, you'll find the words "Shake" and "Spear." Will Smith was also a "Royal" rapper, the Fresh "Prince" of Bel-Air, as in "Prince Hall Freemasonry," the special segregated Freemason lodge for black people. He is even listed as a member of New York's Lodge 77. Will Smith, or Will's Myth. "Marlowe won a scholarship to King’s School, Canterbury, in 1579. He studied Latin, Greek, history, mathematics and music until he was 15 when he left for Corpus Christi College, Cambridge, to study theology, again on a scholarship. At Cambridge, he met Thomas Watson and they became close friends and planned to live together. Through Watson, Marlowe became a spy for the government’s secret service, in one of the many lengthy periods he spent away from his studies, he went to Rheims where he spied on a Roman Catholic seminary. Marlowe graduated with an MA in 1587 and moved to London where he began to write seriously. He continued his work for the Crown as a highly trusted intelligence agent and in 1588 was on board one of Francis Drake’s ships when Drake when out to meet the Spanish Armada. His report on the battle is the only first-hand account of the campaign. Other famous plays written and performed between 1588 and 1593 included Edward the Second, Doctor Faustus, The Jew of Malta and The Massacre of Paris. Marlowe was arrested and was due to be charged with treason but before this happened he went to a house or a tavern in Deptford with three other men. He got involved in a row over the bill with one of the men, Ingram Frizer, and was stabbed by a dagger in the head, killing him instantly. An inquest later found Frizer had acted in self-defence. Marlowe was buried in an unmarked grave in the churchyard of St Nicholas, Deptford." The three men present at his mysterious death all have ties to the government espionage network created by Thomas Walsingham. "On 30 May 1593 a murder was said to have been committed in a room that had been hired for a private meeting in a respectable house in Deptford, owned by Dame Eleanor Bull. It was not a tavern as is often alleged. Dame Bull had Court connections. Her sister, Blanche, was the god-daughter of Blanche Parry, who had been the much loved nanny of the infant Elizabeth and was a "cousin" of Lord Burghley. Now widowed, Dame Bull hired out rooms and served meals. It was likely that her home was a safe house for Government Agents. The strange circumstances of Marlowe's murder in that room at Deptford have been the subject of endless debate and conflicting theories. The following is the official story as related in the Coroner's Report, discovered by Dr. Leslie Hotson in 1925 in the archives of the Public Records Office, London. an experienced government agent, who carried the Queen's most secret and important letters in post to and from the courts of Europe. He arrived at Deptford direct from The Hague, where he had been on the Queen's business – Deptford then being a busy naval dockyard and port from which ships voyaged back and forth to the Continent. the personal servant and business agent of Marlowe's patron, the wealthy Thomas Walsingham, cousin of the recently deceased Secretary of State, Sir Francis Walsingham, who had created the espionage service which protected Queen Elizabeth's life from the on-going Catholic assassination plots. Thomas Walsingham had assisted his illustrious cousin as his right-hand man and was himself a master-spy. a minor cog in the great Walsingham spy machine, who often assisted Poley. A shady character, who was, at this time, engaged in a double-dealing project with Ingram Frizer to fleece a naive young man of his money (termed "conny-catching" by the Elizabethans). In fact Skeres, Frizer and Poley were all skilful con-men and liars. the famous poet-dramatist, who enjoyed both the friendship and the patronage of Thomas Walsingham and at whose estate, Scadbury in Kent, he was staying at the time of his arrest, having gone there to escape the plague in London." "Whereas it was reported that Christopher Marlowe was determined to have gone beyond the seas to Rheims, and there to remain, their Lordships thought good to certify that he had no such intent, but that in all his actions he had behaved himself orderly and discreetly, whereby he had done Her Majesty good service, & deserved to be rewarded for his faithful dealing. Their Lordships' request was that the rumour thereof should be allayed by all possible means, and that he should be furthered in the degree he was to take this next Commencement, because it was not Her Majesty's pleasure that anyone employed, as he had been, in matters touching the benefit of his country, should be defamed by those that are ignorant in th' affairs he went about." Mr. Comptroller, Sir James Croft. The Queen is mentioned twice, citing her personal interest in this young man's attainment of his MA without hindrance from the authorities who are "ignorant of th' affairs he went about," and testifies that he had done good service and "deserved to be rewarded for his faithful dealing". This letter is unique in the annals of Elizabethan espionage records." Thanks for posting. Even though I don't think that he wrote the works of Shakespeare, this information proves that he was a Government agent, and thus makes me question what his writings really meant. My friend Andy just mentioned that Shakespeare and Co. were also responsible for the "Globe" Theatre! Look more like a "Flat Earth with a half dome theatre" to me. This is indeed true. The Globe was originally opened in 1599 (699 or 666) but burnt down in 1613 due to an accident with a cannon. I read an article some time ago about the re-building of the globe theatre (now called Shakespeare's Globe) which opened in 1997. It stated that the opening night was a private ocassion that was attended by 600 masons dressed in black robes. But I can't find that article for the life of me now. I've been searching for it since this thread was started. I always found it interesting that instead of the letter 'W' Double V's are used. "After considering dates in the summer of 1599 which would have been recognized as propitious or significant by knowledgeable Elizabethans, I present a range of historical, astronomical, astrological, calendrical, and hydrological data which draw attention to the date of the Summer Solstice, 12 June 1599 by the then-prevailing English Julian calendar. 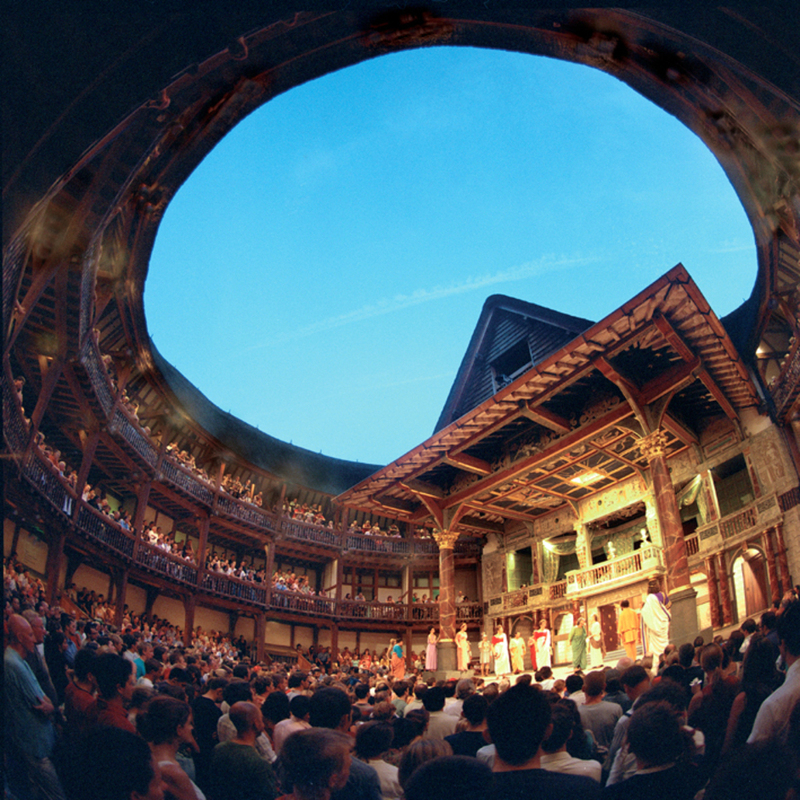 On the basis of these analyses, and the evidence that Shakespeare's Globe is believed to have been orientated toward the rising point of the sun on the Summer Solstice, I suggest this date as opening day at the Globe". Double "v" indicates a Germanic connection, like the King and Queen of England who would eventually adopt the uu or "w". I fear much of our history has been changed of late. Great topic everyone, I've seen discussions on this over at Graham Hancock's forums over the years but never really got into it as I always found other things more interesting. 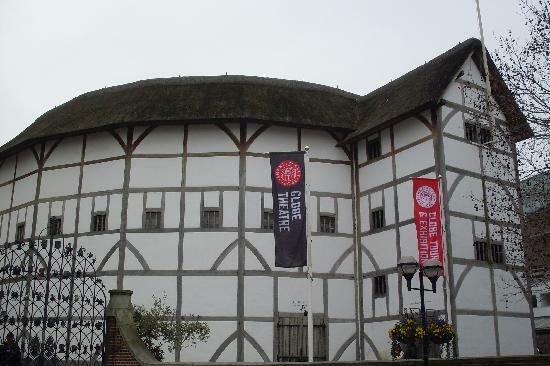 The Globe Theatre also looks very similar to a bunch of old buildings in Europe (I've seen the documentary, just trying to find exactly where it was - perhaps Orkney).